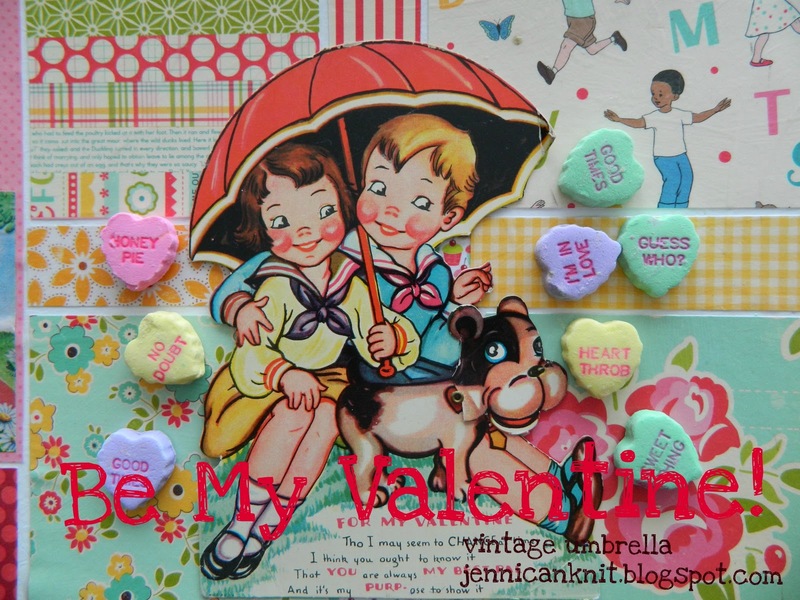 I absolutely love vintage Valentine's. I started collecting them a long time ago when I found a bag full at an antique store. They have multiplied and now I have a lot. Last summer I went to an estate sale (it was straight out of the Brady Bunch) and got big bags full for $5. I copy them and use them for all kinds of cute projects. Above is a Valentine banner that I made for my girlfriends last year. Hi Jenny! I found your blog via Happy's advertising of your blog design! Any friend of Happy's is a friend of mine! I, too, love vintage stuff and crafting. Come on over to visit sometime at It's A Very Cherry World! Love your vintage Valentine collection! Love the new site looks awesome!! !